I can competently learn and play chord progressions and simple runs on the guitar but I do not feel like I understand the instrument. My playing progresses by memorizing songs. However, I know that there is more to playing than this. I have seen other players listen briefly to a new song and then be able (with perhaps only a few missteps) join in and play. What should I be focusing on in my practice and playing to move beyond simply memorizing how to play new songs? You need both ear training and music theory. to hear an interval and correctly identify its type (a major sixth, a perfect fifth, etc.). to hear a note and sing the note that's a specified interval above or below the given note ("sing the note a major third above this note I'm playing now."). to hear a chord and correctly identify its type (a major chord, a dominant chord, a diminished chord, etc.). to hear a scale or an arpeggio and identify its type (again, major, minor, etc.). to hear a chord progression and identify the chords' functions or relations (thanks to Ulf Åkerstedt for this suggestion). You don't need perfect pitch at all. You need relative pitch in industrial-scale quantities. what musical intervals are, their types, and how to produce them on your instrument (this is where many people say ear training is a part of music theory, saying "how can you identify intervals if you don't even know what they are?" Again, I don't think it's worth arguing over the semantics). scales, especially major scales, and how to produce them on your instrument. how musical intervals combine to form chords, the various types of chords, and how to produce them on your instrument. the relationships between scales and chords, how chords emerge from scales, and how scales contain chords. how chords relate with each other to form chord progressions, and how those chord progressions work---this study is known as functional harmony (here's the answer I wrote on this site outlining the very basics of functional harmony). Acquiring these skills will literally take years of focused daily practice, but I don't mean to scare you off---it's totally worth it. I highly recommend studying with a teacher. You can get all of this information from books, CDs, iPad apps, and other resources, but a teacher will give you both guidance tailored to your specific level of development and feedback on what you're doing right and wrong. Best of luck! Besides just knowing the mechanics of the songs, which you obviously seem to be doing, listen to different artists perform them. Listen to as much music as you can. Start with people that play the same songs as you do, then expand to people in the same genre. See where your tastes take you. Try to imitate your favorite players, watch videos of them, see how they hold the guitar, how their playing is different from yours. Listen to players you like, players you don't like. Try and identify why you like/don't like them. It's fun to learn new songs, but if you focus too hard on the technicality of it, you lose the soul of music. Ear training and music theory is all well and good, but if you truly want to identify with your instrument, listen to all the music you can. in addition to composition techniques, there's also getting good at EXPRESSION. Being able to keep the left hand soft, make a melody flow with subtle volume nuances. Careful articulation of each note's volume, attack and duration to make a song really shine. This is what seperates a song played by a human from one played by a computer. 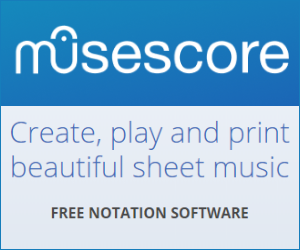 Listen to any midi file that was "just typed in" (a faithful realization of the sheet music). Sheet music doesn't say exactly how to "punch" a song. That comes from the piano player. And most midi files sound terrible since they lack that punch. SOME midi files are an actual recording of a live piano player and they HAVE that punch. Not the answer you're looking for? Browse other questions tagged guitar theory practice ear-training or ask your own question. Can I learn an instrument just by practicing songs? Flatpicking: how can I make my floating-pick-hand less bouncy? How to avoid following the rhythm while soloing or improvising melodies?